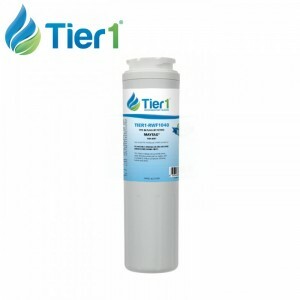 Starting this week, our customers in the West Virginia area will be shipped a free refrigerator water filter from Tier1, courtesy of our FridgeFilters.com store. 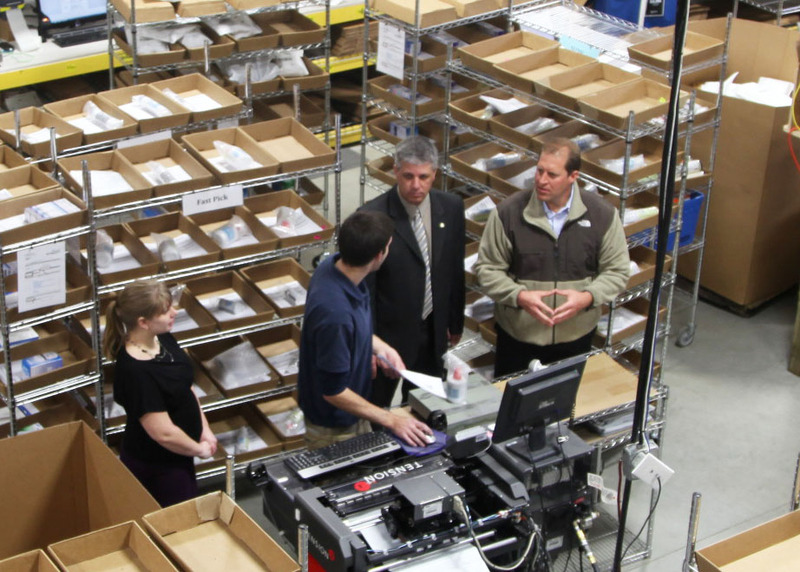 Today, Minnesota State Representative Steve Drazkowski (R) and Minnesota State Senator Matt Schmit (D) visited our Zumbrota, MN warehouse to watch as some of the first packages of water filters were prepped and shipped. If you’ve read our blog or followed our social channels, you are no doubt aware that we have been tracking the West Virginia water contamination story very closely. To quickly bring you up to date, in the late night hours of January 9th, 7,500 or more gallons of 4-Methylcyclohexanemethanol (MCHM) leaked from a chemical storage facility operated by Freedom Enterprises into the drinking water of about 300,000 West Virginians, including about 300 of our customers. Some West Virginia residents were without drinking water for more than a week. While tap water has once again been declared safe in the area, some bottled water distribution sites remain open through today. We want to help bring some peace of mind back to our customers in the West Virginia area. Sending our customers in the area a free replacement refrigerator water filter, to us, felt like both the right thing to do and the obvious thing to do. And hey – if it gets a democrat and republican together in a photo – both smiling, no less – we just may be on to something! If you are a West Virginia customer that has recently purchased a refrigerator water filter from us, no action is required from you. Your filter is already on the way and you will receive an email confirmation today. Please note that we work with hundreds of residents in the West Virginia area, so please do not take offense if we somehow missed your name. Simply call our customer service department at 1-888-801-PURE (7873) and we’ll package and ship your complementary water filter as soon as possible. As some of your friends and family are likely impacted, but may not yet be a WaterFilters.NET customer, I also invite you to share with them the coupon code ‘virginia’ which can be used at check-out on the WaterFilters.NET site for 10% off your order. This offer will last throughout January. I would like to thank our West Virginia customers that have provided us with their loyalty for more than ten years. If there is anything more we can do to help as you recover from last week’s chemical spill, please do not hesitate to contact us directly. I invite you to subscribe to this blog, like us on Facebook, follow us on Twitter or +1 us on Google+. Great share 😀 I enjoyed reading this. Anything that deals with water and bettering your water is something I’ll take the time to read!